← Why use Creative Writing in ELT? A recent thread on a parenting forum about whether or not we should be reading Cinderella to our children reminded me of this activity I used to enjoy doing with my students. I’ve always loved the dark side of fairy tales – the side that doesn’t get into Disney films! If you haven’t read it, you should really get a copy of Angela Carter’s ‘The Bloody Chamber’. With advanced students I have read and discussed her version of ‘Little Red Riding Hood’, which she calls ‘The Werewolf’ before doing the second half of this writing task. It is a very short story (2 pages) but is very dense and quite difficult for all but good advanced learners. Even though this activity is about fairy tales it is not necessarily a task for young learners, although you could use it with them without the reading and rather than re-writing the stories for adults you could just re-write them set in modern times. As the lesson is described here though, it should be a writing activity that teenagers and adults enjoy. It is a good activity on editing and re-drafting, and would be a nice, interesting follow-up to my lesson plan on ‘Getting some flow’. Aim: For students to write two versions of different fairy tales, one for children and one for adults. 1. Ask students if they read fairy tales when they were growing up, or watched movies about them. Brainstorm some different names of fairy tales and write the names on the board (often the names translated differently into English so sometimes you need to do a bit of detective work to work out which story they mean!). Some of the stories might be from your students cultures and unfamiliar to you. 3. Put the students into pairs or small groups and ask them to brainstorm some different vocabulary that commonly comes up in fairy tales for a couple of minutes then write the vocab they think of on the board. You will probably have words such as: Prince, princess, step-mother, fairy godmother, dwarf, castle, etc… Again, you might need to help with some of the translations as they can sometimes be different in different languages. 4. 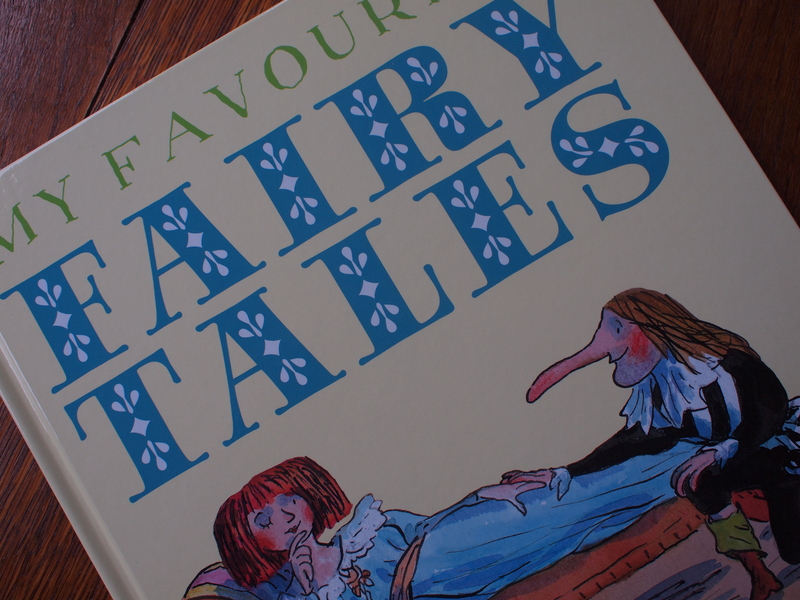 Ask the students to each choose their favourite fairy tale, or at least one they remember well. It doesn’t matter if it is not a really famous one, it might be one from their own culture. 5. Tell the students to imagine they are going to tell this story to a young child. They should write the story as simply and clearly as they can using simple vocabulary and short sentences. 6. OPTIONAL: This is the point when I would do the reading activity if you wanted to. First, I would give them a traditional version of Little Red Riding Hood, written for children, to read, such as this one. Then I would ask them to read Angela Carter’s ‘The Werewolf’. Students can compare and contrast: Which aspects are the same in both stories? Which parts of the story are different? How is the language different? How is the atmosphere created different (and how is this done)? 7. Put the students into pairs. Try and pair them up with someone who has written about a different fairy tale if possible. Ask them to swap stories. It shouldn’t matter if they don’t know the story their partner has written about as there should hopefully be enough information in the story. 8. Tell them they are going to re-write their partner’s story, but write it for adults. Discuss what changes they could make, i.e changing the ending (i.e do people really live happily ever after? ), changing the time setting (making it modern? ), bringing out the darker elements of the story (the death, dark magic, etc). 9. Give students time to re-write the stories. You might want to set this for homework to give them time to think about it and write. 10. When the students have written their new stories they should swap back with their partner to read the new versions and then they can discuss which versions they like best, how they have changed it, etc. It’s a nice idea to publish the stories on a class blog or wiki if you have one. This lesson is based on and inspired by ‘Writing: Creative Writing’ from One Stop English. Posted in Fiction and tagged collaboration, editing, fairy tales, fiction, flow, re-writing, reading, writing. Bookmark the permalink. Nice post Jo, and am very happy to discover your blog 🙂 I love that Angela Carter story, actually all of the Bloody Chamber, but that one especially…You’ve reminded me I need to get back to her! It’s a bit silly perhaps but as an alternative for slightly lower levels, Dahl’s Revolting Rhymes has funny twists on traditional fairy tales…and very good for pron extension work!